Every week, hundreds of new Android apps are submitted to the Play Store. If you’re not paying attention 24/7, it’s easy to miss some of the best stuff. 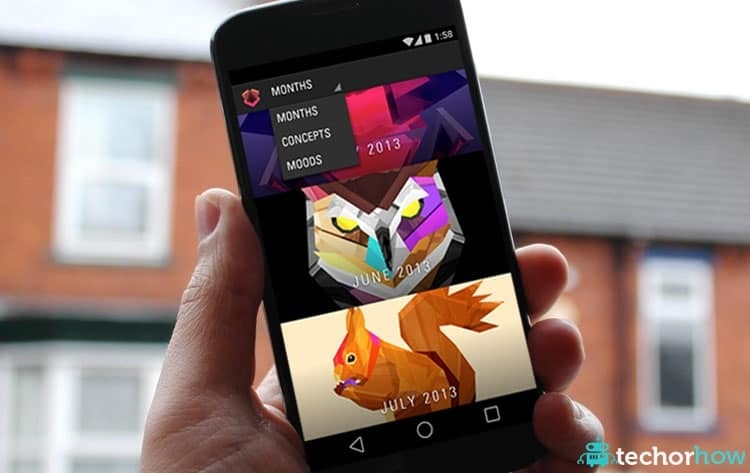 Each week we will highlight five of the best new or overlooked apps. You’re sure to find some hidden gems in these recommendations. Go forth and download! Smart Wallpaper is an app that allows you to rotate wallpapers, but it has many more options that most apps like it. Not only can you change the wallpaper every day, but you can choose specific wallpapers based on days of the week, WiFi network, month, weather, and more. It’s super customizable. Ever miss a notification and have no clue which app it was from? With this app, you can have access to Notification History Log where you can find old notifications that you cleared recently. The best part of the application is Advanced History Log feature where you will get full control over your notifications. Felt is an easy way to make real, handwritten greeting cards, birthday cards and thank you’s to friends and loved ones on your phone. All you have to do is pick some photos, write a message, and Felt does the rest. It only costs $3 to send a real card. WhatTheFont is one of the best online tools for identifying fonts. Now, they have a mobile app that makes it easy to identify apps in the real world. Literally, take a photo of some font and WhatTheFont will identify it so you can download it for your own uses. Wallp is a free app that has a large collection of HD stock wallpapers. New stock wallpapers are added as soon as they come out. Wallp has a large variety of wallpapers which is increasing every day. Stylize your phone and make it look just like the new phones.